Add visual design projects to your lesson plans with this slideshow of 15 awesome projects your homeschoolers can make on their own. What’s cool about this digital age is that you can use it to your advantage in homeschooling. It may seem unattainable to teach your kids how to create visual design projects, but your kids are (most likely) more digitally literate than you are. All we have to do is point them towards the tools and instruction to learn on their own. I definitely can do that. Have your kids check out this slideshow of 15 awesome design projects that your homeschoolers can create themselves. The images are editable templates from Canva: a graphic design webtool homeschoolers often use for Online Unit Study projects. I am trying to learn Canva myself, so I am excited about these projects. 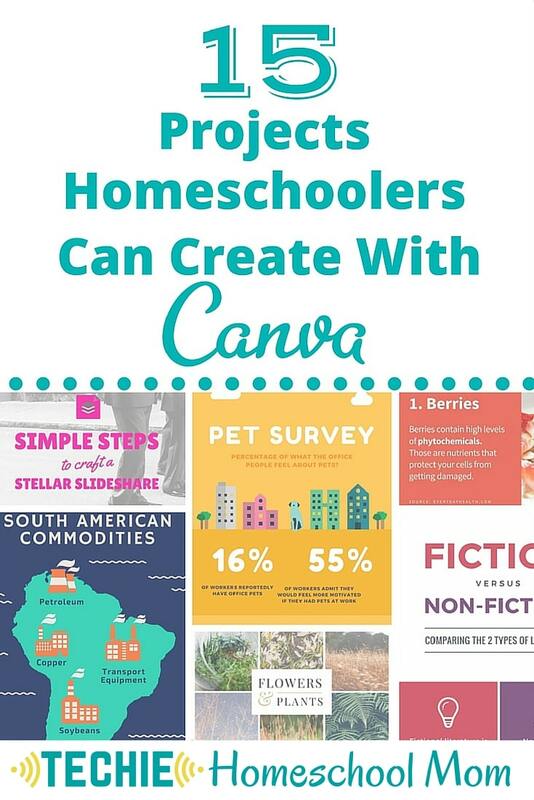 Explore these 15 projects homeshoolers can create with Canva here shared by Techie Homeschool Mom.